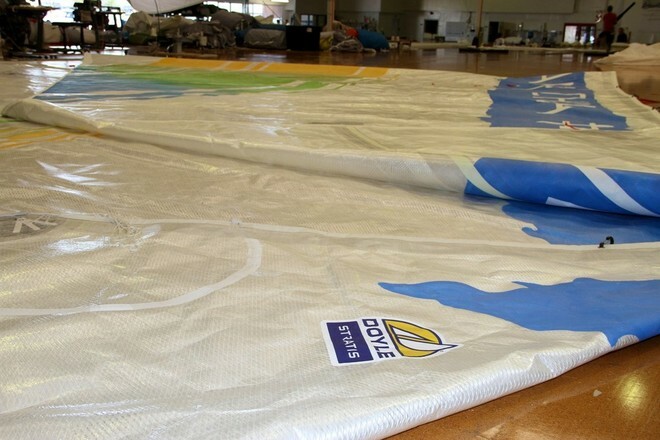 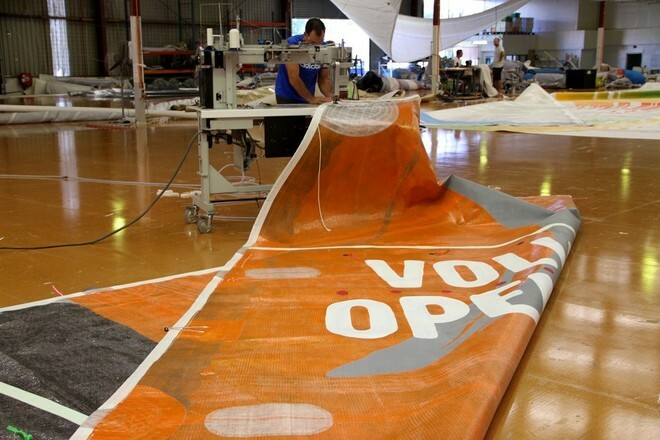 Team Sanya has checked her Volvo Ocean race inventory into Doyle Sails loft in Auckland’s Avondale for a full service ahead of the start of the fifth Leg on Sunday, and In Port racing starting tomorrow, Thursday. 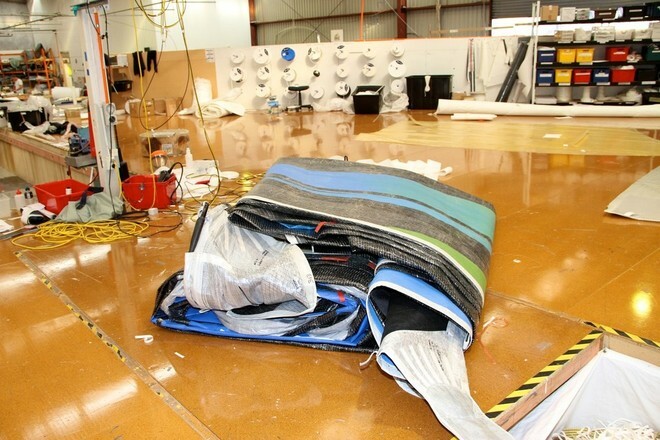 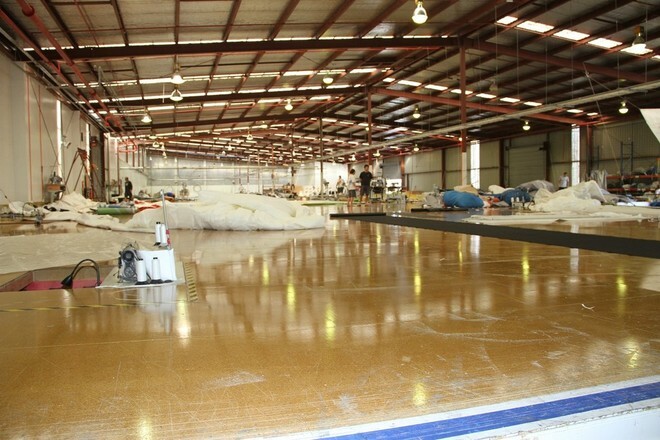 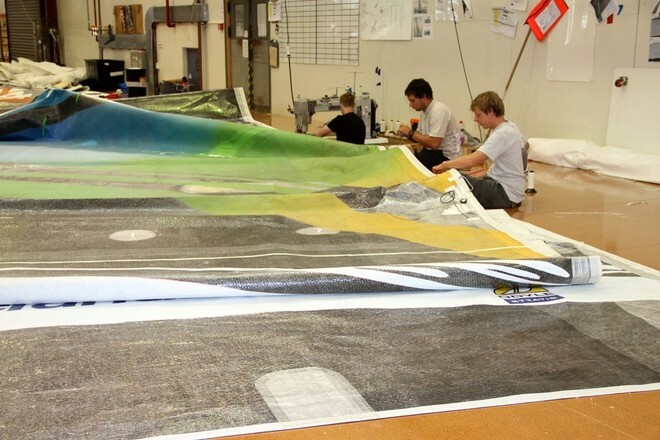 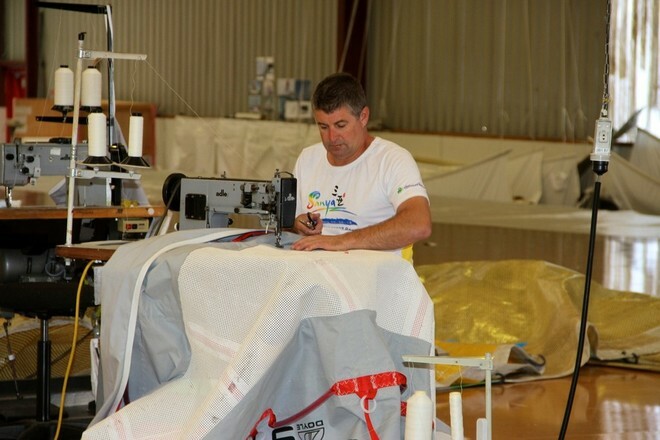 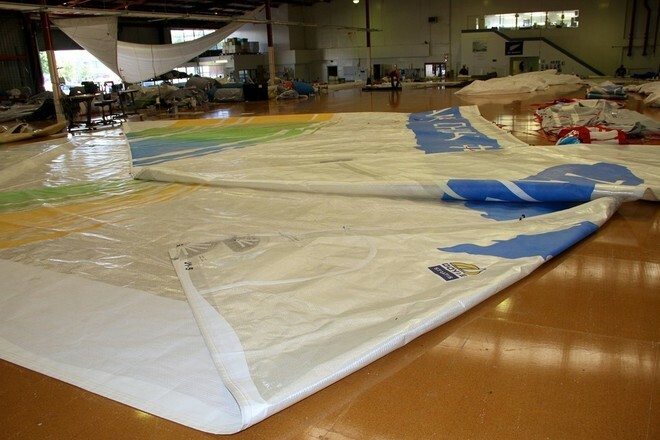 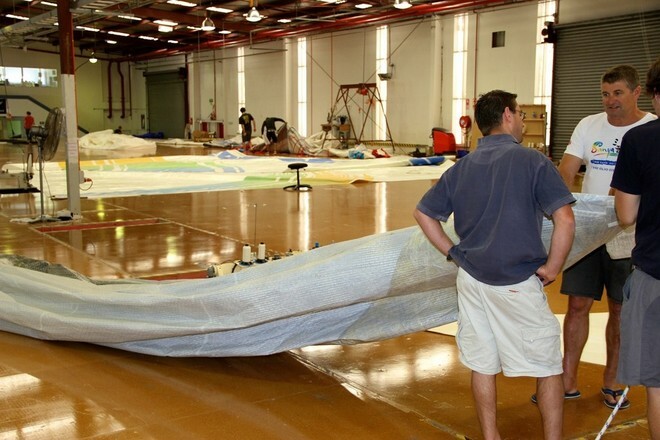 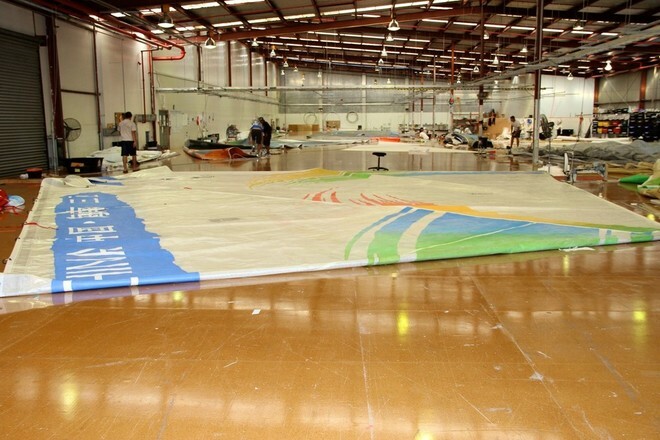 The reason for rapid turnaround in the manufacture of the sail is explained next door where there is a full length panel lamination plant where the cloth used in the new sail can be laid up in one piece, before being finished. 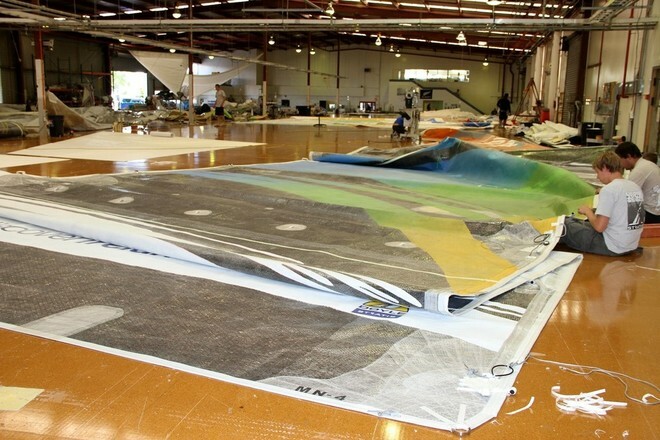 ‘Mike found that he was using the fractional Code Zero upwind more than he had initially thought, so the new sail has been designed around that use, and is a little flatter and more of an upwind sail,’ explains McMaster. 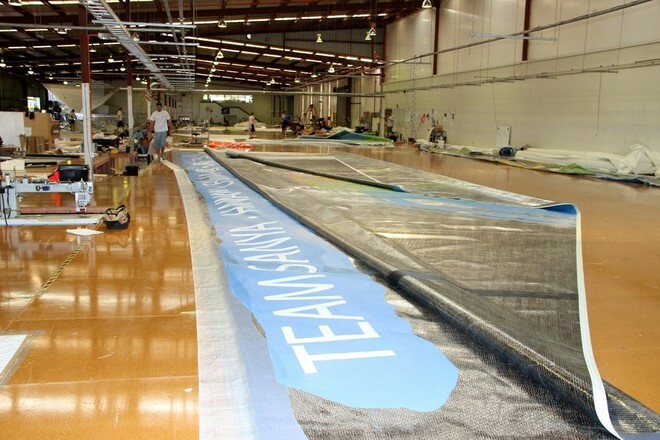 The Doyle loft is around 100metres in length – allowing even the largest superyacht sails to be fully spread – and as can be seen in the images below the new sails for Sanya only take up about half the available floor space.